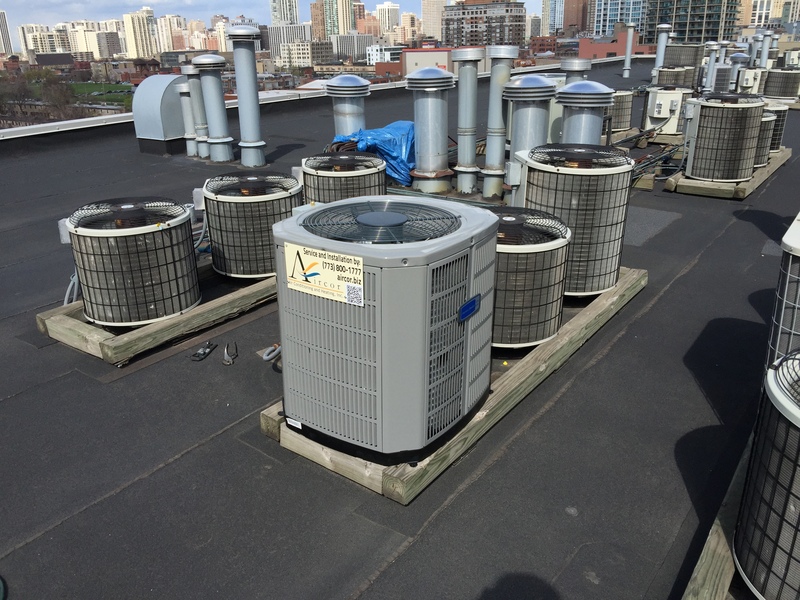 River North – Chicago, IL 60654 – Air Conditioner Replacement. We replaced an old condensing unit that had a damaged compressor with a high quality and energy efficient American Standard condensing unit. The evaporator coil was replaced and line set flushed to switch from freon to puron refrigerant.